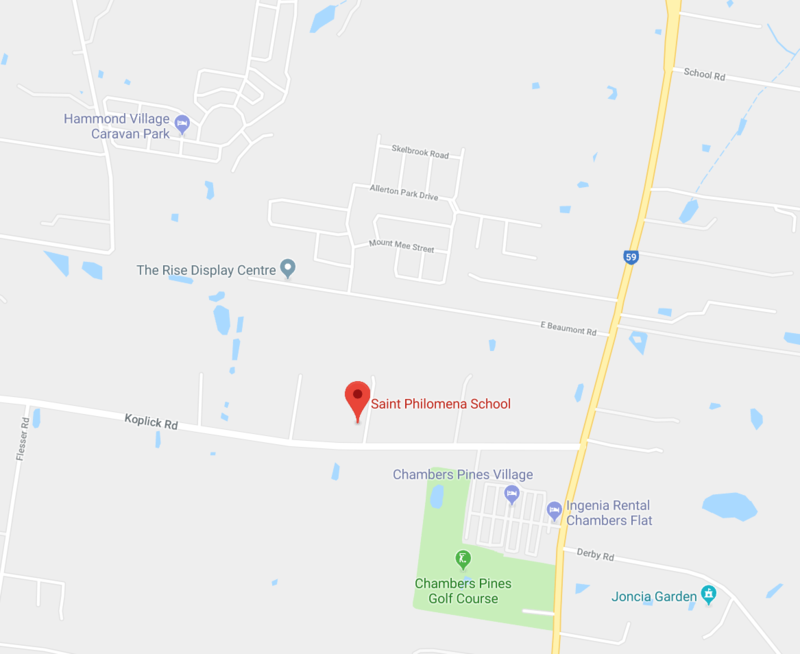 St Philomena School was established in response to the concerns of catholic families about the available education choices for their children. Parents approached the Society of St Pius X (SSPX) to ask for assistance in developing a truly Catholic school that would assist them to provide proper spiritual and academic foundations for their children. In early 1992 under the auspices of the SSPX and with the assistance of then District Superior, Father Francois Laisney, a small group of parents and friends began the monumental task of establishing a Catholic School in Brisbane. Through the great generosity of Dr Felice and Mrs Marie Zaccari, eleven rural acres at 61 Koplick Rd, Park Ridge, was purchased in February 1993. Over the next six years parents and friends undertook a range of difficult tasks including negotiations with Council, curriculum development, purchase, movement and refurbishment of buildings, fundraising, and meeting State and Commonwealth government requirements for funding and approvals. Under the intercession and guidance of St Philomena all obstacles were finally overcome and St Philomena School opened on Tuesday 2 February 1999. Father Hogan was the founding Principal of St Philomena School. He handled the complex negotiations with various levels of government, other authorities and contractors to bring the School to fruition. Father Belisle introduced the study of French, presided over the legendary French Dinners, gained a number of valuable grants for the School and was responsible for the purchase of the current Chapel and other buildings. Father Wailliez presided over the restoration of the Chapel, was the driving force behind the Dinner Auction, gained a number of grants and consolidated relationships with various government representatives and agencies. Father Arthur oversaw the implementation of a classical curriculum at the School. He settled a master plan for the long term development of the school, and completed the building of the library and outdoor learning area. Father also oversaw the construction of the junior infants’ classroom block in 2011. Fr Pepping submitted the application for secondary education, developed in large part by Fr Arthur, which was approved in 2011. In 2012 the School introduced years 8 & 9. Since 2015 the School has been providing education from Prep – 12. Fr Pepping has also had the privilege of overseeing the implementation of St Philomena School’s master plan. The Primary School buildings were completed in 2014 and construction of the first secondary school building, purpose built science and art classrooms, began in 2015.